Kamenjak - a feel of wild Istra - Explore Croatia Become a Patron! 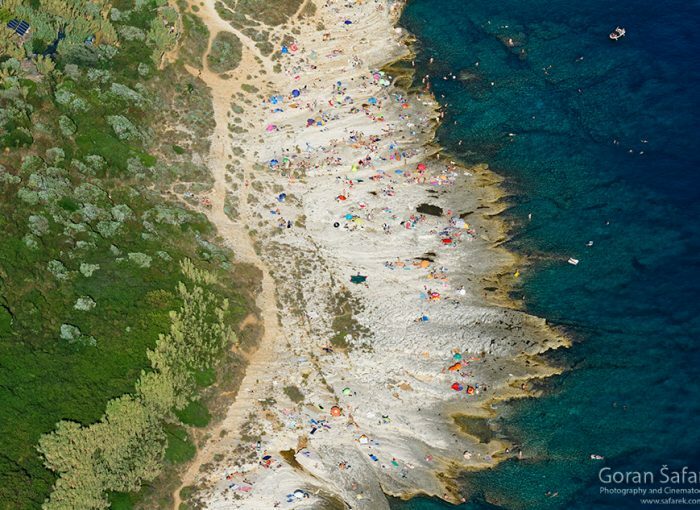 Kamenjak is the southernmost cape of Croatian biggest peninsula – Istria. 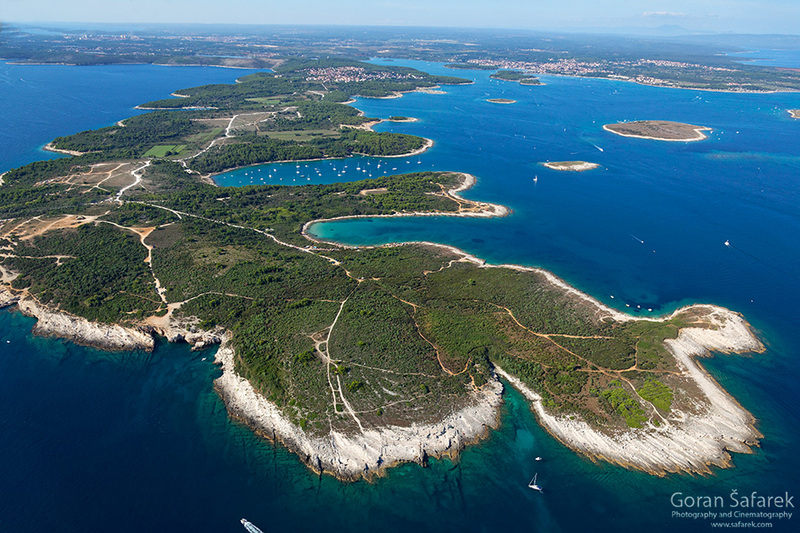 On of the pearls of the Istria is Cape Kamenjak. It looks like a stony fingers that juts in the northern Adriatic Sea. The shore is very rocky, hence the Croatian name Kamenjak – “rocky (place)”. It is not far from major tourist hub Pula. It extends nine kilometres into the sea like an octopus arm abounding in deep coves and capes, which stretch the coastline out to as much as thirty kilometres. Waves have filled these shady coves with charming little pebble beaches whose turquoise waters unveil their bottoms made of boulders. One beach is even sandy, although most of the coast is rough, but at the same time exotic. Cape Kamenjak also called The Kamenjak Peninsula or Peninsula of Premantura is located at the very south of Istria as a part of village Premantura. Pula, big and popular tourist destination is only 10 km away. Kamenjak can be reached from Premantura by bike, boat or car. It is consisted of Upper and Lower Kamenjak and was declared as a protected area in 1996 due to its exceptional nature. Lower Kamenjak can be accessed through two entrance/exit points and entrance fee is charged during summer months only for motor vehicles. Towering a few meters above sea level as walls of a fortress, often in two or three cascading steps, these are ancient layers of an ancient warm sea from which this solid limestone rock had been created. These steps are broken into larger blocks, the victims of tectonic forces fracturing them over the millennia. These blocks further cracked into smaller units resembling thousands of drawers of a giant closet, and their final shape was given by the eternal waves and tides having carved and sharpened the lowest rocks. Although it seems that nothing can grow on these rocks basking in the bright sun and pounded by the mighty wind and the salt of the waves, their crevices, spots being splashed by the waves, are a home to several types of resistant plants, such as the sea lavender or marsh rosemary, bindweed or morning glory and woolly chamomile, which Cape Kamenjak is one of the last habitats to in Croatia. Kamenjak also keeps a secret. The Pinižule Bay houses strange-looking footprints immortalised in stone. Three front fingers stand out clearly from Mother Nature’s other irregular scribbles. These are even clearer on Fenoliga Island where these extinct heavyweights had left hundreds of footprints, a souvenir from ancient times, when Istria was somewhere in the tropics travelling tens of millions of years to its present position. Fenoliga Island is the richest dinosaur footprint discovery site in Europe. It was discovered that these footprints belonged to the four-legged sauropod dinosaur and it was estimated that they were about 3 meters tall, 11 meters long and weighed about 13 tons. Today, instead of dinosaurs, this coast is walked on by their distant relatives birds. Hundreds of seagulls rest by the sea, in close proximity to their nesting grounds on the islets of Istria and the northern Adriatic. There are cormorants as well, superb divers cruising along Cape Kamenjak diving for fish. After a successful hunt, they relax and dry their widespread wings on the rocks, as if praying to Neptune, God of the Sea. In summer, these rocks are taken over by bathers. Drawn by the call of the warm and clear sea, the wilderness and exoticism of the peninsula, what they find on these shores are peace and privacy, an escape from mass tourism and the kitsch of overcrowded city beaches. The evening is the most beautiful time of the day when the brightness of the sun settles, when the glowing orb and the sea unite. Towels can be spread on the flat steps of Cape Kamenjak and relaxation can commence. The remoteness of the more removed rocks allows for fully merging with nature and skinny-dipping, which is tolerated here. Swimming and diving are the highlight of sea bathing on Cape Kamenjak. The seawater along Kamenjak is well preserved and rich, and even a short dive displays the splendour of the underwater world. In the sea, the stone steps continue descending slowly towards increasing depths. Damselfish abound in the shallow waters swimming along sea bream, mullet, salema porgy and other species of fish. The sea currents bring a large amount of nutrients along, and so the sea along Cape Kamenjak is rich in fish, with the west side of the peninsula being a corridor for the seasonal migration of sea bream, sea bass and other fishes to their hatcheries. 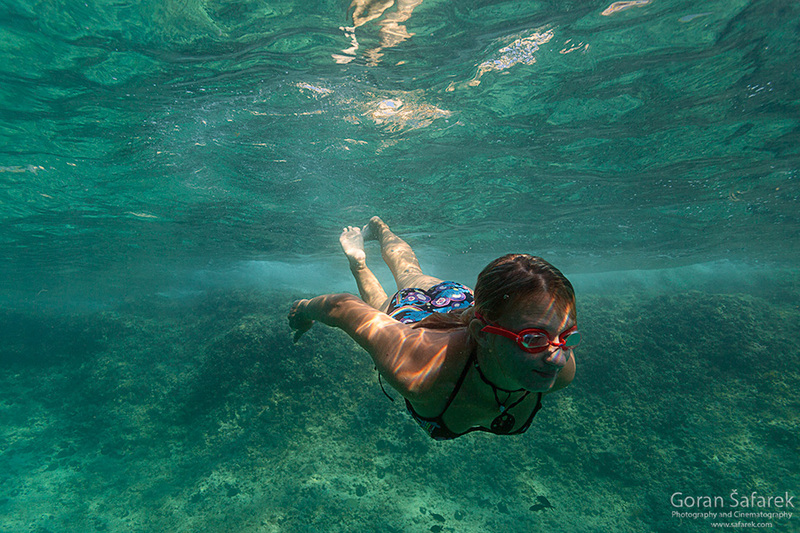 The underwater world of Cape Kamenjak shares the characteristics of the northern part of Istria and the northern Adriatic in general. Its waters are relatively shallow, less saline than the southern Adriatic, contain more nutrients and its level of visibility is lower because of the prevalence of silt stirred up from its sandy bottom. Despite colours being muffled at its depths, the sea bottom is nevertheless brimming with colour thanks to the many algae, sponges, starfish and other slowly moving tenants of its depths. Peeking between them is the painted comber, curiously showing off its irregular, dark reddish-brown stripes and a large blue stain on its belly. 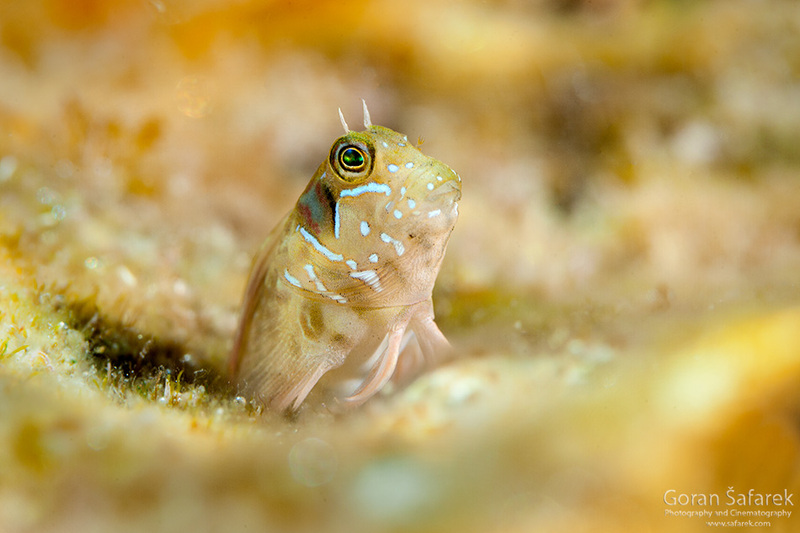 The bottom is also dotted with goby and other fish, and with little effort even small yet colourful snails can also be found. Posidonia sea-grass meadows, commonly called seaweed, may seem dark and repulsive, but are actually rich communities of algae, invertebrates and fish. With a little luck, you can come across the noble pen shell and the elegant long-snouted seahorse peeping out of posidonia meadows… The Mediterranean monk seal can also be seen at times, and in 2014 a female monk seal dwelled around the Cape. Unfortunately, she died of old age. Also, the shallow waters of the northern Adriatic are one of the two major habitats of the loggerhead turtle in the Adriatic. Swimmers are constantly splashed by the smell of sea salt on the one hand, and the intoxicating Mediterranean fragrance of aromatic herbs and plants from the peninsula on the other. The woods just above the rocks offer salutary shade at high noon when even the rocks glow with heat. In summer, the tall and thick pine trees echo the love song of crickets, but the little artists are well hidden tightly sticking to the rough bark of trees. However, Cape Kamenjak is dominated by undergrowth, rockeries and dry Mediterranean grasslands of sage and windfeder. Botanists have listed some six hundred species of plants, including several rare species. 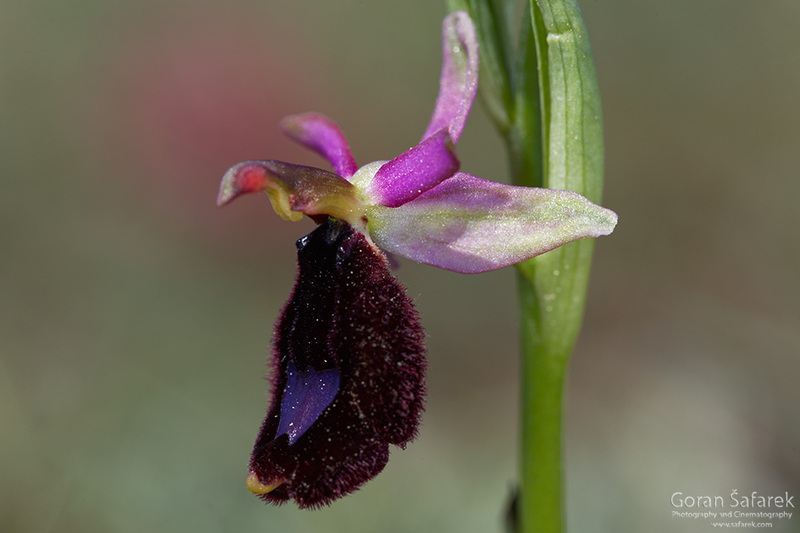 Particularly noteworthy are some thirty species of orchids, including two endemic ones – the Istrian coward orchid and its hybrid. It is in spring that Cape Kamenjak becomes a colourful garden full of orchids buzzed round by insects. With the shape of their flower, the so-called popcorn orchids pretend to be bees and bumblebees, attracting this way real flying insects to pollinate them. Around them and other plants, some fifty species of butterflies flutter. Every now and then, a lizard or even a snake slips past. Reptiles have plenty of food here, and can easily find a hiding place amongst the rocks and bushes and, of course, plenty of sunshine. A holm oak and manna ash forest once grew in the central part of the peninsula, but it disappeared owing to centuries of agricultural use. The inhabitants of the surrounding settlement of Premantura cultivated olive trees and worked in small fields, helped by the indigenous Istrian cattle with a firm and rocklike grey body and widely spaced horns. It was once used for ploughing and carrying loads, while today it is farmed more for meat production. In 2012 a stable for keeping cattle was built on Cape Kamenjak, where you can watch and learn about this quiet observer of historical changes in Istria. Today, Cape Kamenjak is protected against urbanisation by Upper Kamenjak, Lower Kamenjak and the Medulin archipelago having been listed in the category of important landscapes. Both the natural and traditional cultural heritage are respected. Moreover, the preservation of grassland areas is important for the survival of orchids and other grassland plants. There are no permanent settlements on Cape Kamenjak, and so nature is well preserved, and given that in summer it is a popular sea bathing area, there are several dirt roads leading through it. Only a few concrete-made buildings offer refreshment, such as the famous Safari Bar at the very tip of the Cape. Kamenjak is an extraordinary masterpiece of master waves working closely with the sun, with the beauty of this peninsula being seasoned with a dash of sea salt. 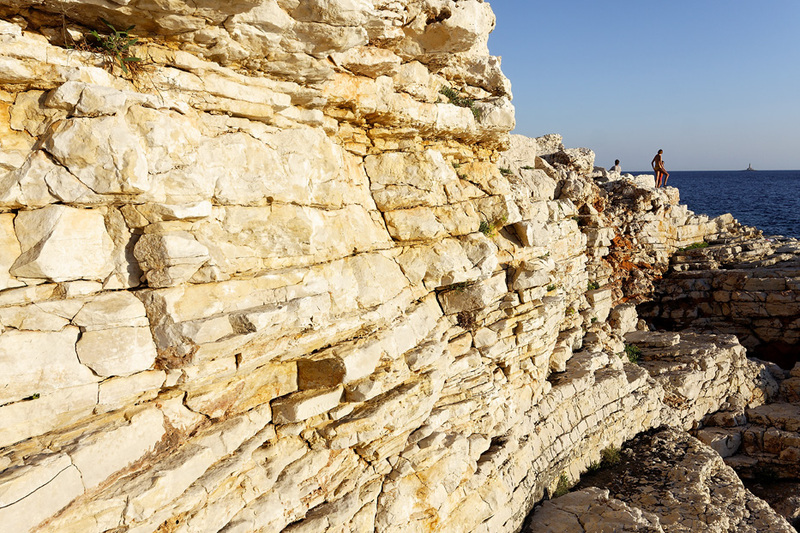 For both sea and nature lovers, Cape Kamenjak is a wonderful place to explore, but also to simply savour. A place that everyone is very likely to find a reason to return to once again. The entrance fee in the reserve is only for vehicles (30 kn for motorcycle, 80kn for a car). Kamenjak gets very crowded in the summer. It also gets very dusty, due to the dirt roads and numerous cars. So, come earlier, you will also find good parking place for your car. It is recommended however, due to the carbon imprint as well to come with the bike. There are number of roads and path to explore every nook and cranny of the peninsula. 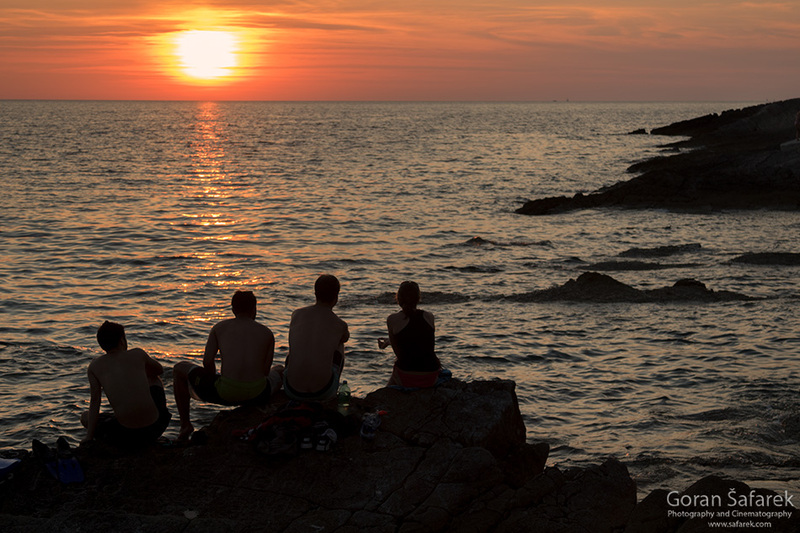 Kamenjak, even though not official nudist beach, is nudist friendly, on more remote rocks. You can’t sleep in the reserve, but there are many camps, hotels and apartments in the vicinity. As everywhere, the best time to visit here is early September, as crowd is mostly gone, and the sea temperature is still high.